Delmas 40B ravine mitigation | DAVE HAMPTON, JR.
Ravine after mitigation (under construction), 2013. Photo: Beth Milbourne. Partners: Deutsche Gesellschaft für Internationale Zusammenarbeit (GIZ), funding; __, contractor; World Bank Natural Hazards Assessment Team (NATHAT), risk analysis; MTPTC (Haitian Ministry of Public Works), permitting. 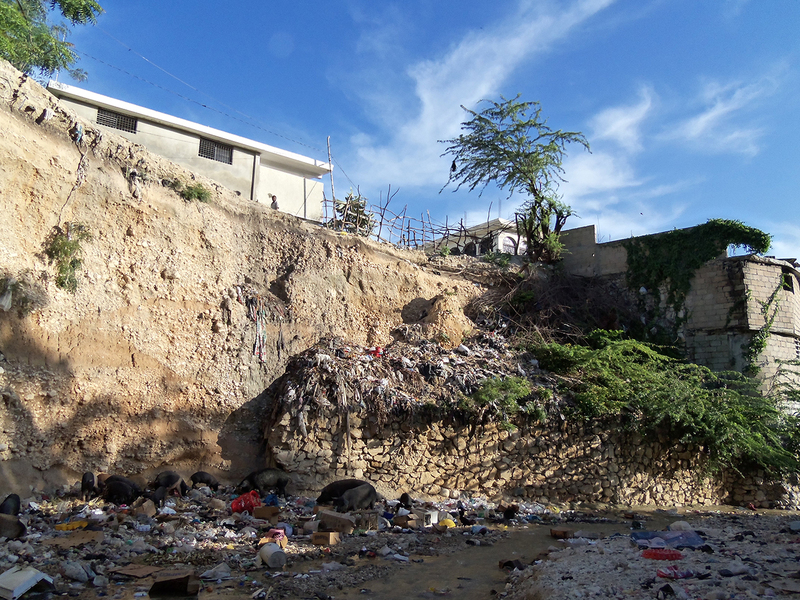 In late 2011, following unstable conditions in the Petionville Club IDP camp managed by J/P HRO, the NGO conducted an extensive search for suitable locations for the establishment of a new clinic to serve both residents of the camp and the adjoining Delmas 40B neighborhood. A private residence was located, selected, and underwent an earthquake-resilient retrofit and adaptive reuse to transform it into a medical clinic. 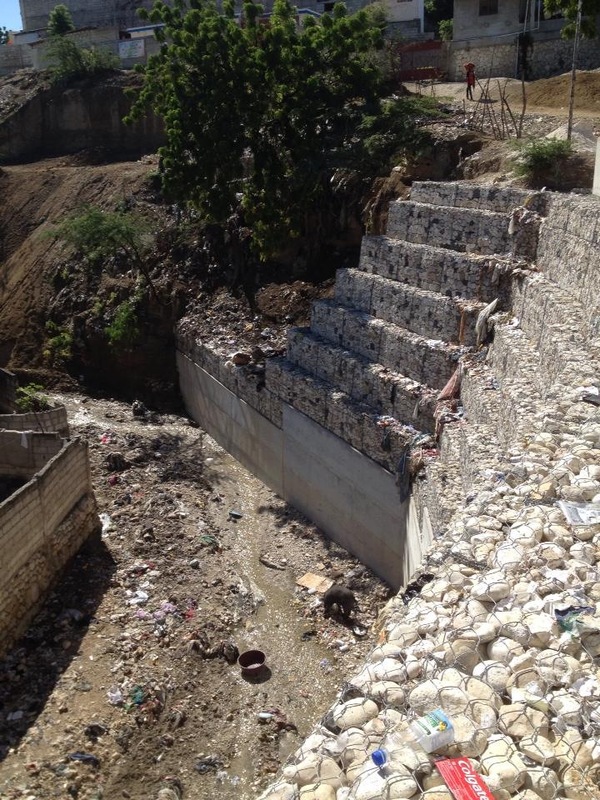 Located alongside one of the ravines which bisect Port-au-Prince, directing stormwater from mountains to sea, the facility was threatened by an eroding ravine edge composed partly of soft soil, undermined by the scouring action of water during the wet season, compounded by acceleration around a sharp turn in the ravine. 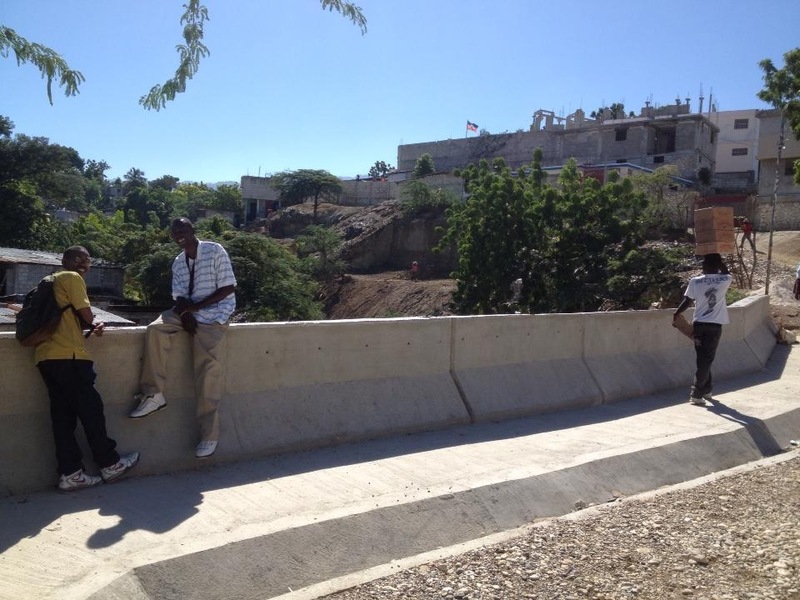 2) a permanent wall faced with concrete finish, topped with a concrete curb and gutter to direct surfacewater away down the ravine face, and a concrete balustrade to discouage the dumping of trash and protect pedestrians from falls. JP-1 Klinik Kominote continues to provide community healthcare services to over 1,000 individuals weekly. 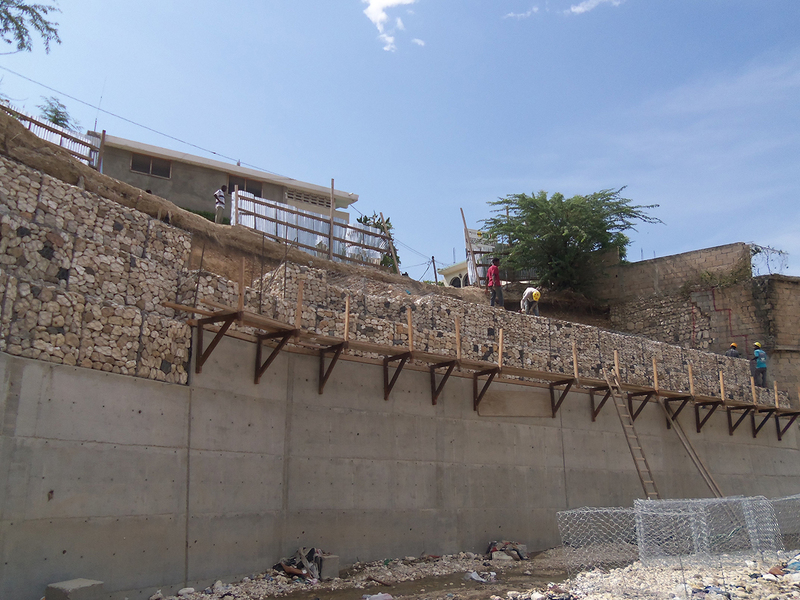 This project fueled my further interest in urban ravines, (see my article “The Ravines of Port-au-Prince”, UrbDeZine, 2013). Ravine before mitigation, 2011. Photo: Dave Hampton. 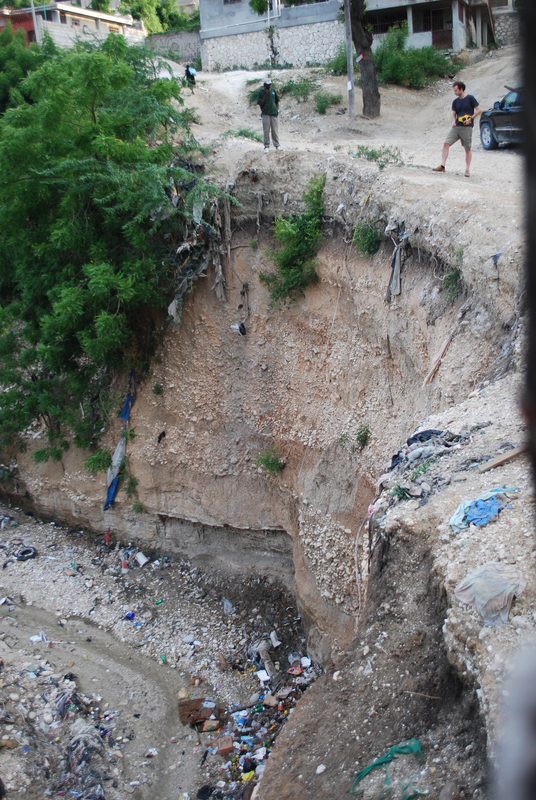 Ravine before mitigation, 2012. J/P-1 Clinic is visible at top left. New gutter directs water along and away from ravine, limiting erosion. New concrete walls prevent falls. Photo: Beth Milbourne. Ravine after mitigation, 2013. Photo: Beth Milbourne.